In their first road victory in a little over three months, the Iowa State Cyclones beat the University of Northern Iowa with a score of 182-117. This victory improves the Cyclones all-time record against UNI to 29-1. Iowa State began the meet with a solid second place finish in the 200 medley relay. A team of Harper Emsweiler, Kasey Roberts, Kaylee Kucera, and Maddie Rastall clocked in with a time of 1:47.81, just six one-hundredths of a second behind the UNI A relay. Freshman Haley Ruegemer took the 1000 free with a time of 10:41.45 and was followed by senior teammate Mollie McNeel (10:44.80). Junior Silqi Luo took the 200 free (1:55.80), while the senior Kucera was first in the 100 back (55.44), beating her sophomore teammate Emsweiler by half a second (55.94). 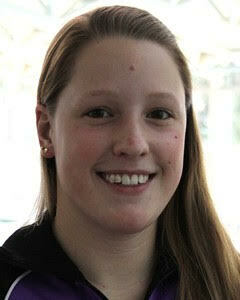 The sophomore Roberts tied for first with her classmate Danica Delaquis in the 100 breast. Both women touched the wall with a time of 1:05.95. The pair later went 1-2 in the 200 breast with Roberts claiming first (2:21.86) and Delaquis following with a time of 2:23.80. The Cyclones claimed the first two spots in the 200 fly, but just third place in the 50 free. Junior Savanna Townsend was the top sprinter for Iowa State and she was third in both the 50 free (24.83) and 100 free (54.08). Senior Marissa Engel claimed the 200 back (2:04.67), while Luo was just edged out of a second individual victory in the 500 free. Her time of 5:12.73 was just .23 behind UNI’s Rachel Siebenaller. After placing second in the 200 fly, senior Mary Kate Luddy took the 100 fly with a time of 58.34. She then claimed the 400 IM (4:35.52). Iowa State divers senior Elyse Brouillette and junior Julie Dickinson claimed the 1-meter and 3-meter boards, respectively. The Cyclones secured their victory with a win in the 400 free relay, with a team of Townsend, Roberts, Brooke Evensen, and Luo clocking a 3:31.80. The Cyclones compete next on Friday January 29 against Villanova and conference rival West Virginia.